Find a Michael Buble Tribute Act for hire near you in minutes! Option 1. Enter your event location below & contact a Michael Buble Tribute Act directly! Option 2. Request multiple quotes from available Michael Buble Tribute Acts Get Quotes! Option 3. Read information & advice on hiring Michael Buble Tribute Acts Read Advice! 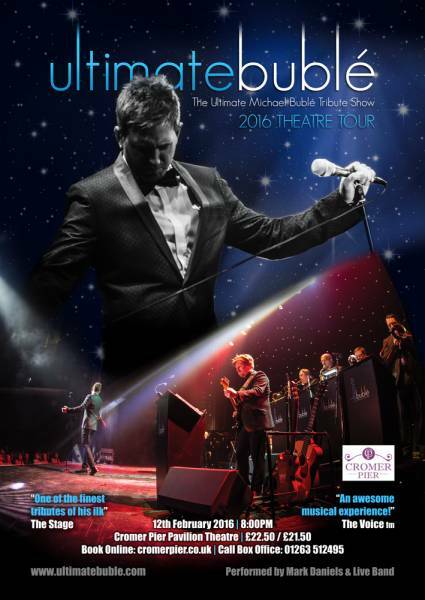 Want to Know More About Michael Bublé Tribute Acts? Read on for the most comprehensive guide to booking a Michael Bublé Tribute Act, including how much a Michael Bublé Tribute Act costs, exactly what they will do at your event, plus tips, advice and information to help make your event one to remember! A Michael Bublé Tribute Act will croon their way through hits from golden 50’s standards all the way to contemporary Pop hits of his own all wrapped up in a smooth, and fun show! What exactly will a Michael Bublé Tribute Act do at your event? Michael Bublé is one of the most successful artists of the past 15 years! He has won multiple awards including 4 Grammy’s and is considered to be one of the best singers of the modern era. The Canadian born crooner sings songs that are featured in various genres such as Big band, Pop, Swing, Blue-eyed Soul, Jazz and even the odd bit of Rock! With a song catalogue that spans so many styles, it is easy to see why hiring a Michael Bublé Tribute Act would have something for everyone to enjoy! Michael Bublé’s cover's include classic songs such as ‘Fever’, ‘Moondance;, ‘The Way You Look Tonight’ and ‘For Once in My Life’, and that was just on his debut album alone! You can expect to hear all of these and more when you hire a Michael Bublé Tribute Act!. Mainly, a Michael Bublé Tribute Act will entertain your audience with a fantastic live show that will put the wow factor into celebrations and impress your guests, whatever their entertainment tastes may be. What event types are Michael Bublé Tribute Acts hired for? If you are considering hiring a Michael Bublé Tribute Act for your wedding ceremony, then you are in for a unique and special treat! A Michael Bublé Tribute singer will sing a beautiful rendition of a romantic classic as the bride walks down the aisle! Let’s not forget that a Michael Bublé Tribute Act will incorporate upbeat Frank Sinatra favourites such as ‘Come Fly With Me’ and ‘Fly Me To The Moon’ which would be great to hear for when the bride and groom are announced as man and wife! A Michael Bublé Tribute Act would be fantastic entertainment for your wedding drinks reception because of the tenderness and sweetness Michael Bublé portrays in his songs. The Michael Bublé Tribute singer can be set up on a little stage outside or inside the venue and can gently take the audience through feel-good hits. Bublé’s brand of music would create a fantastic, relaxed atmosphere for the entertainment at the wedding drinks reception. Maybe you are hoping to find a Michael Bublé Tribute Act for your wedding breakfast entertainment? And why not?! When you hire a Michael Bublé Tribute Act, you can expect the Jazz singer to perform smooth, gentle classics as your friends and family enter the main hall. One of the many great aspects of booking a Bublé double, is that he can either put on a big show, or he can blend into the background whilst he sings at your wedding breakfast! If you want music that appeals to a mass audience, then a Michael Bublé Tribute Act is your man! With cover version of traditional hits such as ‘Feeling Good’ and ‘Can’t buy Me Love’, the guests at your wedding evening reception will most definitely enjoy the show! As well as covering all the big hits of the 50s, 60s, 70’s and more, a Michael Bublé Tribute Act will put on a great show. Using crowd interaction skills mixed with the odd bit of humour in between songs, a Michael Bublé Tribute Act will be sure to have showmanship too! Maybe you are hoping to hire a performer for your corporate event that will be non-offensive and will be fun for guests of all ages? A Michael Bublé Tribute Act will cover easy listening Swing songs that will get the whole crowd singing along! A perfect ice-breaker act for the corporate environment! When you hire a Michael Bublé Tribute Act, he will bring out cool hits such as Elvis Presley’s ‘Always on My Mind’ and the Rat-Pack standard ‘I’ve got you Under My Skin’. A Michael Bublé Tribute Act will convince the biggest of cynics and will be a great tribute act for a work-do, or maybe you want to celebrate the end of the financial year with a bang?! Additionally, Michael Bublé is well known for his love of Christmas songs, having released his no1 album ‘Christmas’ in 2011. So, a work Christmas party is a fantastic time to hire a Michael Bublé Tribute Act! Michael Bublé will cover all of the Christmas standards that you love! From Nat King Cole, to Elvis Presley and Bing Crosby, you’ll be able to relax and unwind at your company Christmas work party this year with a slice of Bublé! If you have a taste for contemporary Jazz tinged Pop music, then you can’t go wrong when you hire a Michael Bublé Tribute! As well as singing the cover songs that he has made his own, a Michael Bublé Tribute Act will also sing Bublé’s own modern day classic hits which will include: “Crazy Life’ and ‘I Just Haven’t Met You Yet’. Basically, by booking a bit of Bublé magic for your party, you will appeal to the elders, the young, and all that’s in between! How much do Michael Bublé Tribute Acts cost to hire? Our simple to use entertainment directory allows you to firstly search for the best Michael Bublé Tribute Acts who are local (or travel to your area) and then via the contact form you may message them directly to enquire for a no obligation quote to perform at your event. Some acts will also add a rough price guide to their profile for your convenience. What are the usual set formats and performance lengths for Michael Bublé Tribute Acts? A Michael Bublé Tribute Act can tailor their performance to times to suit you and your event, however, on average a professional Michael Bublé Tribute Act will perform for two 45 minutes sets. How much space will a Michael Bublé Tribute Act need at your event? Some Michael Bublé Tribute Acts will perform with a full live band, in which case they will require the average space needed for a stage, which is 4 meters wide and 3 meters deep. Alternatively, if the Michael Bublé Tribute Act is just the singer alone performing as Michael alongside professional backing tracks, then a smaller performance area should be sufficient. The best thing to do is to use our personal messaging service to enquire with the act themselves. What equipment and set up requirements do Michael Bublé Tribute Acts need? As with most artists who sign up to Entertainersworldwide.com, a Michael Bublé Tribute Act will provide most of their own equipment. This may include a full band backline and microphones. You may want to enquire if the tribute act needs a PA to amplify their sound, in which case we would advise to use our easy to use messaging service to find out. We do ask that each performer gets a backstage area in which they can prepare for the performance ahead. 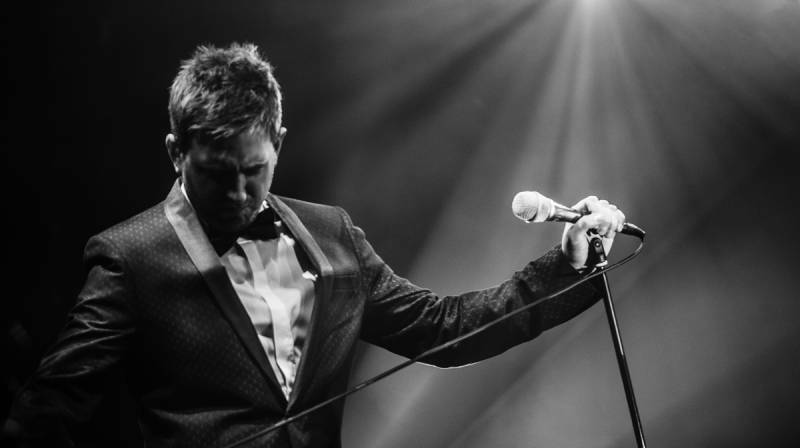 If your venue does not have a backstage area, then we kindly ask that you enquire with the venue to seek an alternative space in which the performer can comfortably get ready to completely Bublé you! How can you find and book a Michael Bublé Tribute Act with Entertainersworldwide.com? 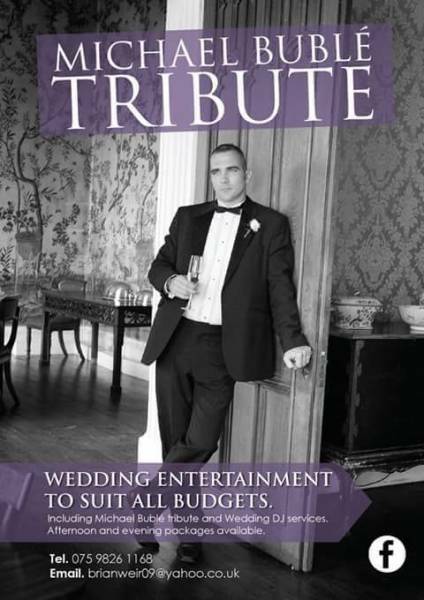 WANT TO RECEIVE A RANGE OF QUOTES FROM Michael Buble Tribute Acts?